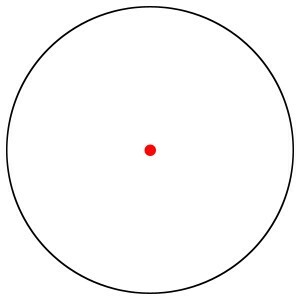 What do you see in the circle? Whenever I give a presentation and use this illustration, that’s the answer I get 99% of the time. It’s interesting because there’s roughly 180 times more pure, white space but what do we see? The DOT! You have a talented staff and you might even brag on them to clients. Yet what do we notice and focus on? Mistakes and weaknesses. Don’t get me wrong, mistakes need to be corrected and there should be learning involved. But focusing too much on weaknesses and trying to turn them into strengths is futile. Better yet, focus on the strengths and improve them. Two things will happen – the strengths will become even stronger and the weaknesses will be minimized. Many times small businesses get so focused on the details of the day-to-day nuts and bolts of running the business, they don’t “see” things that could add value to their business. All they see is the DOT! There is so much potential for growth if they will simply step back and view the big picture. Many times, as their business grows, they don’t see the need for making changes to the way things are done and this can hurt the business in terms of efficiency. Greater efficiency could mean the business can grow – grow without adding to the operating expense thus improving the bottom-line. There is always the threat that we become myopic with our business, especially our marketing. Marketing myopia is “a short-sighted and inward looking approach to marketing that focuses on the needs of the company instead of defining the company and its products in terms of the customers’ needs and wants. It results in the failure to see and adjust to the rapid changes in their markets” (BusinessDictionary.com). Businesses must be careful not to be so consumed with what the company needs that it fails to understand what the customer wants and needs. The customer discovery process is vital to clearly understanding customer needs, wants and motivations. Every business must gain customer empathy and that is done by simply asking questions of your customers and potential customers. …there’s roughly 180 times more pure, white space but what do we see? The DOT! These are all examples of very common problems that businesses encounter. Some businesses can make the changes on their own. Some businesses need the help of a management consultant or business coach because the business leader is too close to the problem and it is difficult for them to objectively look at the issue and then create a solution. Asking for help is a sign of strength. So now, what do you see in the circle? ← Do something about it!